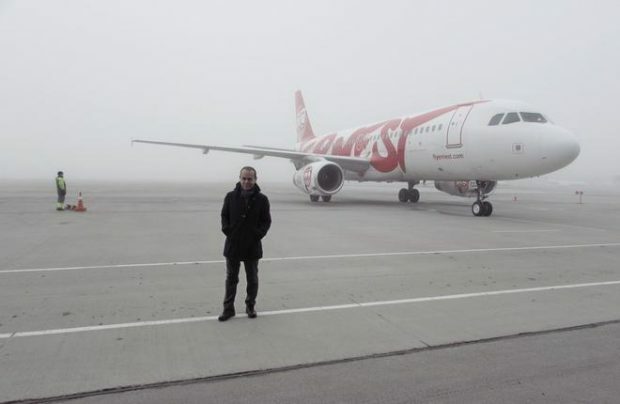 Ernest Airlines, a Milan-based start-up LСC, began operations earlier this year serving Albania’s capital city Tirana with two airliners: an Airbus A319 (EC-HKO, Felix) and an A320 (EI-GCC, Lucas). The airline then launched services to Ukraine’s Lviv in October, and added Kyiv’s Zhulyany airport to its route network with the first revenue flight on December 9. Ernest will initially connect Zhulyany to Milan’s Bergamo airport and to Naples. Founded by Italian and Swedish investors, the carrier owes its name to a forefather of one of the shareholders. Also, as was explained at the Zhulyany press event, Ernest is a pun on “earnest”, which is how the carrier would like to be perceived by its customers. 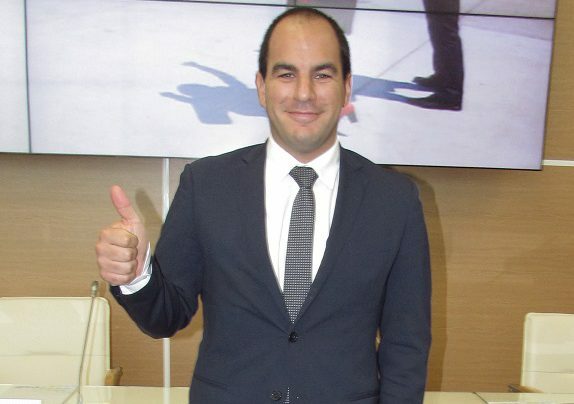 In an interview with Russian Aviation Insider, Business Development Director Chadi El Tannir shared Ernest Airlines’ vision, mission, and plans for the future. – Why did Ernest choose first Albania, and now Ukraine, as its destination countries out of Italy? – Our business model targets ethnic passengers: people who, though not ethnic Italians, have resided in the country for some time. They work and have families in Italy, but they also have relatives in their countries of origin. These ethnic groups are primarily Albanians, Ukrainians, and Romanians. We know how to approach ethnic passengers. What they need is the capillarity of flights. In many cases they live far from major airports, so we try to find new routes that would bring them near to their home. This saves them money getting to a major airport. Second, we offer low fares, because it is important to foreigners to save money on ticketing and to be able to choose from ancillary services. Third, we always offer our passengers their original language. Even if a person has lived in Italy for many years, they may still feel foreign in the country. We want for our passengers to feel at home when flying with us. This is why our website has versions in the languages of the countries we fly to. As soon as we started flying to Ukraine we immediately launched a version in Ukrainian (and not in Russian). Our call center also offers a choice of languages. And our in-flight magazine is in the language of the particular destination country. In the initial phase we will be carrying an interpreter on board for our flights to and from Ukraine, who will help passengers with the language and will translate all the commercial ads and safety announcements for them. We will start hiring entry-level Ukrainian-speaking cabin crew in January. We will not be looking specifically for people with prior cabin experience: if candidates need to be trained for the job, it is not going to be a problem. – Are you planning to hire Ukrainian-speaking cabin crew in Ukraine or in Italy? – It depends. If we base our aircraft in Italy, we will need Ukrainians residing there. If we choose to base aircraft in Ukraine, we could hire locally. – Would you like to base your aircraft in Ukraine? – It’s my dream. This way we could provide a better schedule. You could fly out to Milan at seven in the morning, for example, and then come back at a reasonable time in the evening. This would be very good for business travelers and also for tourists, who could have all of their last day in Italy at their disposal to enjoy the country before their evening flight. – You currently have two A320 family airliners. When are you expecting new aircraft to be delivered? – In March, April, May, and June next year. These four will be 180-seat Airbus A320s. They will be very young, less than 10 years since built, and their cabins will be brand-new, just like those of our current aircraft. Our fleet expansion will continue in future. – Are you planning to start flying to other countries with strong diasporas in Italy? – We have identified a niche between Italy and Romania, but it is very complicated because Romania is a territory of Ryanair and Wizz Air. These airlines, however, do not cover all the possible destinations. We are trying to identify unserved routes, which is not a simple thing to do nowadays. But if we choose to fly to a secondary airport rather than a primary one, and offer better departure and arrival times, we will end up with a new product. Merely copying the competition makes little sense. – Does Ernest have any immediate plans for the CIS, including Russia? – Not at the moment; we are not studying such opportunities because this is more of a leisure and business market. Our business model is about serving ethnic passengers, who account for over 70% of our total traffic. Business travelers add another 10 to 15% during the winter. In summer, the rest of our traffic are leisure travelers. – What is the philosophy behind your business model? – We are a normal no-frills LCC: point-to-point, single-class, ancillary services, buy-on-board. We are not inventing anything new here. The normal low-cost model is the winner. We certainly cannot achieve the same low operating costs as Ryanair or Wizz Air because of our fleet size. It’s normal, it’s mathematics. The beautiful thing about aviation is, in my view, the science. You can calculate pretty much everything. However, you also have to work with people, and human factor is unpredictable. What happens with a lot of LCCs today is that they offer very low air fares but, unfortunately, because of their effort to keep the costs down, the quality of services they provide to passengers is low. Ernest does not do this. Ours is a niche market, meaning that we need to offer some untouchable services. In my view, a human touch is the winner card here. Passengers flying with us from Zhulyany today will find a buffet and live music in the check-in area. This is something that you give to your passengers, something that makes them happy. It’s easy and very inexpensive to arrange, but it is also something which is very difficult to find with other airlines nowadays. – Why did Ernest choose Zhulyany rather than Boryspil for its operations into Kyiv? – We did not consider Boryspil, primarily because we would then find ourselves offering the same product as Ukraine International Airlines [UIA, Ukraine’s flagship carrier based at Boryspil], which is something we would rather not do. In my opinion, our choice of airport is easier on our passengers because you can reach Zhulyany from the city center in 20 minutes. From personal experience, I once had a flight to catch from Boryspil to Milan on a Friday afternoon and got stuck in traffic for 1.5 hours on my way to the airport. We have different business models. UIA is working hub-and-spoke from Boryspil. We are point-to-point, so we prefer Zhulyany, this very well served airport within city limits. – What is Ernest’s seat load factor on flights between Ukraine and Italy at the moment? – In Lviv we have over 75%. In Zhulyany, we have just started, and the seat load factor here is a little under 70%. We have achieved this result after a month and a half [of initial operations in Ukraine], and with very little expense on advertising. We have not been advertising actively in Ukraine. After today we will start doing so, and I think that we will eventually achieve a load factor of more than 85%. – What are your first impressions of working on the Ukrainian market? – Ernest is in Ukraine exclusively thanks to two teams: those at Zhulyany and at Lviv. Without them, we would never have entered the country. They invited us and revealed the potential of this market to us. The rest was easy. We are an Italian airline operating under a bilateral agreement between Italy and Ukraine. We asked for the destinations and frequencies, and received them. The Ukrainian civil aviation authority, for its part, has been extremely respectful and well disposed to us. I would like to thank them, as well as Zhulyany and Lviv.